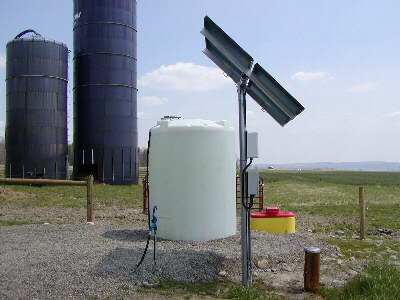 small irrigation and domestic water in remote locations. It's a natural alternative to generators, hand pumps and mechanical windmills for water pumping. 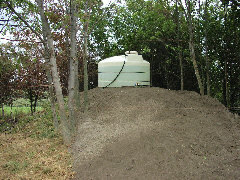 and systems available for pumping from deep wells, shallow wells, ponds and streams. Where utility interconnect costs are over $5000. 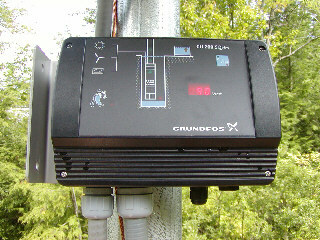 amount of water required, we can find the best pump and most efficient energy source for your system. utility power or AC generator for backup power. 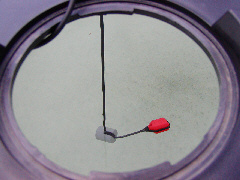 (with float switch) and a digital readout for input power wattage. 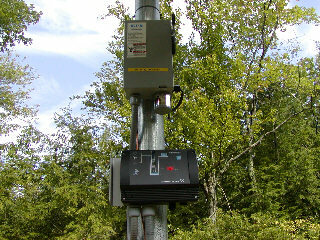 It will shut the pump down for low water level, various service conditions and insufficient power input. shown on this page are what we have found to be the most reliable and cost-effective. If you would like a quote for a water pump system, please download our Water Pump Design Questionnaire, fill it out and e-mail or mail it to us. Please feel free to e-mail or call if you need assistance with completing the form. This website was created with solar and wind power!